Home > Potentially unwanted programs > Mac Cleanup Pro scam removal from Mac. Mac Cleanup Pro scam removal from Mac. 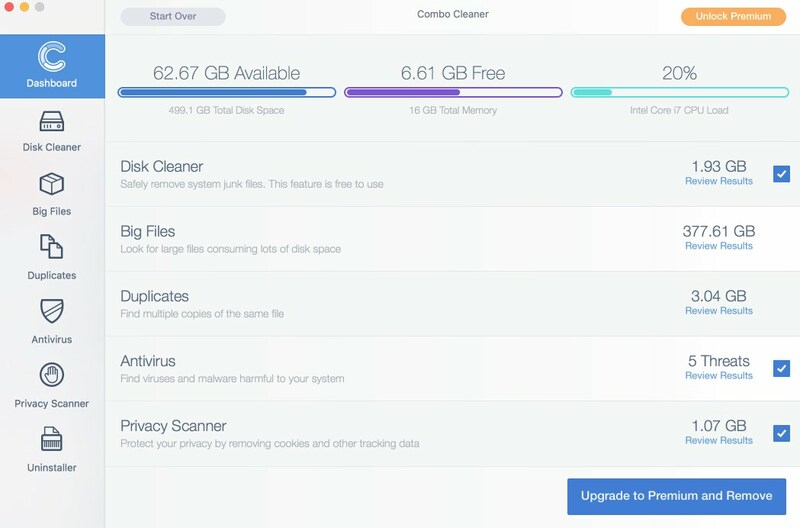 Mac Cleanup Pro is a potentially unwanted software currently attacking Mac OS X computer. This program is currently being spread through various malicious links that may offer you to download and install some kinds of Adobe Flash Player. However, there is absolutely no need for you to perform such updates. When you mistakenly perform these suggested updates your Mac may become infected with Mac Cleanup Pro and plenty of other totally useless utilities. In case Mac Cleanup Pro is already in your Mac, it’s of utmost importance that you continue reading this tutorial that provides you with ways to remove this hoax automatically from your system. Quick menu to help you navigate through Mac Cleanup Pro removal tutorial. Mac Cleanup Pro hoax description. How to remove Mac Cleanup Pro from Mac. 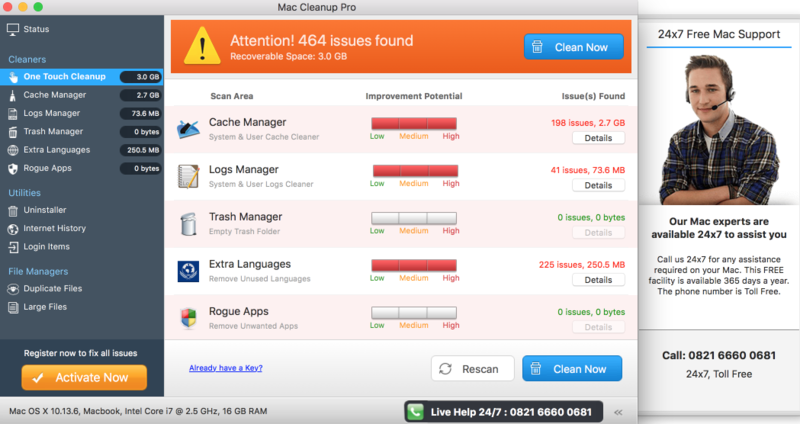 General information about Mac Cleanup Pro. Mac Cleanup Pro creates many problems for Mac users. The hoax will cause extremely high CPU usage on a permanent basis. You will even hear how fast the CPU cooler rotates. This is all because Mac Cleanup Pro program consumes a lot of system resources, being also interconnected with plenty of other malicious applications sooner or later. Hence, you’d better immediately perform the measures to get rid of this scam as soon as possible. Mac Cleanup Pro program may also be bundled with installers of some free application for Mac. There are very many resources online that offer freeware installations for Mac OS X. The problem is that certain free program may be automatically bunched with Mac Cleanup Pro or some other junk utilities. You ought to be very careful not to permit installation of such junk utilities that may be offered along with some free programs of your selection. Finally, intrusion of Mac Cleanup Pro program is also the result of failure of your current anti-virus program to protect your system as initially advertised. It’s very important that you now reconsider your choices in terms of the software into which you entrust the security of your system. 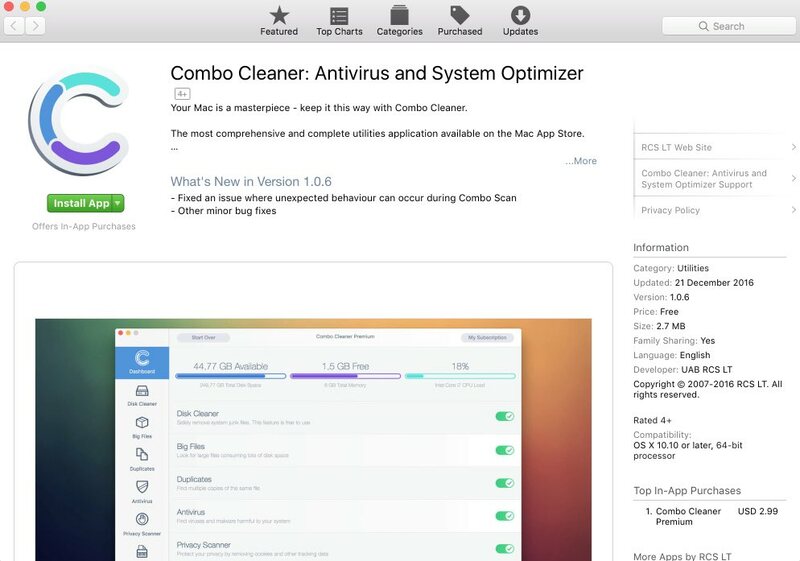 We recommend you to scan your workstation with Combo Cleaner Anti-Virus for Mac OS X that will render the exceptionally great service in terms of defending your Mac computer. In case you require more help on our part, feel free to contact us at any time of your choice. After you remove Mac Cleanup Pro it is mandatory to apply additional manual fixes to clean your browser from malware remnants. Previous Previous post: Securecloud-ec.com redirect – how to fix your browser? Next Next post: D0p21g2fep.com redirect trojan removal guide. AudioDriver.exe (32 bit) malware removal tutorial. Windows Process Manager (32 bit) trojan removal instructions. Spbdtursvc.exe malicious process (removal guide).